Pure Florida is pleased to partner with the iconic Inn on Fifth and Club Level Suites in a new two-night Cruise & Cuisine package for summer, blending a trio of luxury experiences to showcase the best of downtown Naples. 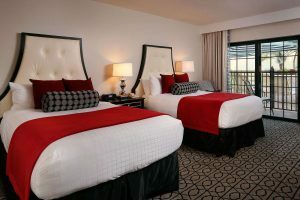 The package includes a two-night stay in one of the Inn’s 119 elegantly appointed guest rooms, featuring an array of superior standard amenities; a Pure Florida sunset sightseeing cruise for two; and dinner for two ($100 dining credit) at Ocean Prime Naples, one of Naples’ newest culinary hotspots. Available through October 13, the Cruise & Cuisine package at the four-star, four-diamond Inn on Fifth starts at just $403*. Guests can choose to enhance the experience with a Club Level Suite and additional exclusive amenities for a package price of just $623*. The Cruise & Cuisine package welcomes guests aboard the award-winning M/V Double Sunshine, a sightseeing vessel operated by Pure Florida at nearby Tin City, just a short stroll (or complimentary Tesla Model X ride) down Fifth Avenue from the Inn on Fifth to the Gordon River. During the 90-minute sunset cruise, guests will enjoy balmy breezes, dolphins and other wildlife sightings, views of gorgeous waterfront mansions, stories of Naples’ colorful history and the night lights on the river. The M/V Double Sunshine is equipped with upper and lower decks, along with a wine and beer bar, so you can raise a toast to the good life as you take in a stunning sunset on Florida’s Paradise Coast. The first glass of wine or beer will be complimentary. 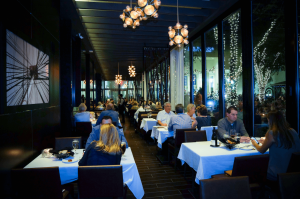 Back on shore, guests can cruise back up Fifth Avenue South to Ocean Prime Naples, conveniently located at the Inn on Fifth. The package includes a $100 credit to explore an array of specialties prepared by the outstanding culinary team at one of Naples’ newest dining hotspots. The award-winning Ocean Prime specializes in pairing fresh-caught seafood and prime steaks with delectable sushi, with standout menu items such as the signature Prime Roll; Alaska Halibut, with lobster ravioli, asparagus and sweet corn emulsion; and Blackened Snapper with corn spoon bread and jalapeno tartar for dinner. A stunning setting and vibrant energy – along with an impressive menu, signature cocktails, Wine Spectator-honored wine list and exceptional service – come together to make Ocean Prime an extraordinary dining destination that exudes Naples’ laidback luxury. Guest amenities at the Inn include complimentary Wi-Fi and daily newspaper; luxurious robes with satin shells French terry knit lining; living area with sofa seating, coffee table and flat-screen TV; and Italian marble bathroom. The Inn’s 32 extravagant Club Level Suites set a new standard of luxury on fashionable Fifth Avenue South, and offer access to an elevated standard of amenities, services and facilities. At Club Level, guests enjoy a deluxe continental breakfast each morning, plus signature hors d’oeuvres such as Jumbo Florida Gulf Shrimp and Artisan Cheese & Charcuterie boards, full bar and desserts each evening in the Club Level lounge. Other Club Level amenities include a personal concierge, secluded rooftop retreat, turndown service and more. Authentically Naples and distinctively downtown, The Inn on Fifth & Club Level Suites is the area’s premier AAA Four-Diamond, Forbes Travel Guide Four-Star property for an immersive lifestyle experience. Ideal for shopping, spa days or outdoor adventure, the Inn puts guests amid an exciting collection of award-winning shops and restaurants. All of Naples’ essential attractions are within a stroll or short Excursion-chauffeured drive, including famed Fifth Avenue, celebrated galleries, nationally acclaimed restaurants, some of Florida’s most exclusive golf courses, and a splendid stretch of sugar sand beach. For a taste of the best of Naples this summer, spoil yourself with the Cruise & Cuisine package at the Inn on Fifth & Club Level Suites. For more information, call (888) 403-8778 or visit www.InnonFifth.com. * Subject to availability. Blackout dates apply. Not available on major holidays. Minimum two-night stay. Gratuity for sunset cruise and dinner not included. Ocean Prime credit not transferrable or refundable and may not be used in conjunction with other offers. Unused dining credit will not be issued as cash credit and may not be used for other purchases. Tax not included. Located in the heart of downtown Naples, the Inn on Fifth features 119 luxurious rooms, including 32 Club Level Suites, in two iconic buildings, just steps from one another across Fifth Avenue. The hotel’s enviable location puts guests in the middle of a celebrated collection of award-winning shops and restaurants, including Ocean Prime and Truluck’s Seafood, Steak and Crab House, and the Spa on Fifth, which are all located at the Inn. Guests can enjoy an easy stroll or take complimentary transportation to the white sand beaches of the emerald Gulf, just a few short blocks from the property. For more information, visit www.InnonFifth.com. Ocean Prime is a modern American restaurant and lounge from renowned restaurateur Cameron Mitchell. The award-winning Ocean Prime delivers an extraordinary experience with stunning settings, an impressive menu of seafood and prime cuts of steak, signature cocktails, a Wine Spectator-honored wine list and truly genuine hospitality. From the kitchen and bar, there is an appreciation for ingredients that comes through in every dish. The menu is classic and yet there is a modern sensibility to the preparations which range from lighter fare to indulgent seafood presentations, juicy steaks and decadent desserts. Each Ocean Prime location is dramatically designed and inspired by the unique energy of the city where it’s located. With stunning spaces, luxe details and exceptional service, Ocean Prime is an ideal place to socialize, talk business, celebrate and indulge. For more information, please visit www.ocean-prime.com.